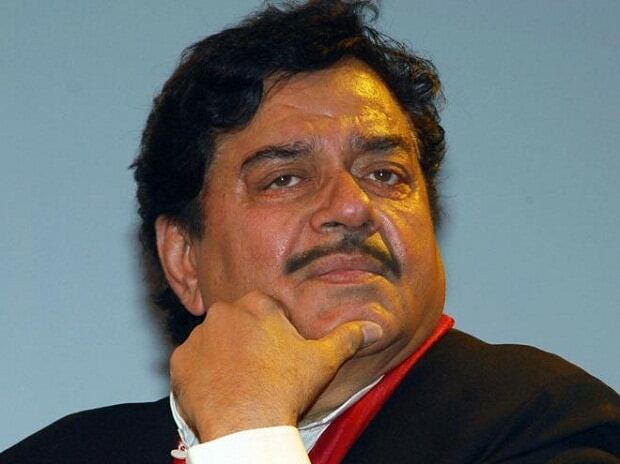 Amid speculation that he may be denied a BJP ticket for Lok Sabha polls and join the RJD, actor-turned-politician Shatrughan Sinha has kept all sides guessing by saying that people should instead speculate whether he would contest on a BJP ticket or not. Sinha, who has represented his native Patna Sahib as a BJP MP for two consecutive terms, said his remarks on various issues which have not been liked by some party leaders, were meant to "show the mirror" to the BJP and cannot be termed as "anti-party." "Instead of guessing whether they (BJP leaders) will give me ticket or not speculation should be whether I will take the ticket or not," Sinha told PTI. Though he said the meeting with Prasad at the Rajendra Institute of Medical Sciences was personal, the timing of the meeting assumes significance. Sinha, popularly known as "Bihari Babu", has on several occasions made it clear that the "place (constituency) will be the same, even if the situation changes." He said loss of power in three states of Madhya Pradesh, Rajasthan and Chhattisgarh is enough to show that the situation is not good in the NDA. "Many people have left, some others are preparing to leave and others driving tough negotiations...all said and done the party's popularity and that of one leader and two-men Army have taken a beating," he said. He was alluding to Hindustani Awam Morcha (HAM) chief and former Bihar chief minister Jitan Ram Manjhi and RLSP leader Upendra Kushwaha leaving NDA and LJP of Union minister Ram Vilas Paswan bargaining hard with a "weakened" BJP. Maintaining that the "writing is on the wall", the BJP leader said, "There is still some time and some hope left if party veterans like L K Advani, Murli Manohar Joshi and Arun Shourie are brought at the front." On his remarks on GST, demonetisation and the party functioning often putting the BJP in an embarrassing situation, Sinha said he had been manifesting peoples' voice and not asking for any personal favour for himself. Besides meeting Prasad and praising his younger son Tejashwi Yadav as "Bihar's face" and "its future", the BJP leader has been frequently seen sharing dias with former union ministers Yashwant Sinha and Arun Shourie and at functions of Aam Aadmi Party (AAP) much to the discomfort of partymen.